“The Letters for Literacy campaign is a way for literacy champions to voice their concern and advocate against these deep cuts that will hurt adult literacy programs, learners, and their families,” Kevin Morgan, president and CEO of ProLiteracy, said in a statement released three weeks ago. A physician in her native Ecuador, LVA student Jouseth is working to establish her medical credentials in the U.S.
Josie later spent eight tough years at Central University of Ecuador Medical School, in a program so challenging that only 17-percent of her class would graduate. Scientists have long known that learning shapes the brain. Speaking multiple languages, accruing new skills or even just quitting a habit can forge new neural pathways. But a new study has brought a surprising twist to our understanding of how the brain molds itself to new abilities—in particular, learning to read as an adult. Literacy, it turns out, changes ancient regions of the brain that researchers never suspected played a role in reading. The finding expands not only our understanding of reading but also disorders that impair it, namely dyslexia. Neurologists and psychologists from several institutions worldwide recruited 30 illiterate people, mostly women around age 30, from two villages near the northern India city of Lucknow, to their study. Over six months, a local school teacher taught the participants to read Devanagari, the alphabet used for many languages including their native Hindi. The researchers took MRI images of all the participants’ brains before the instruction began and at the end of the six months. The villagers learned to read and write the 46 characters used in Devanagari during the first month and soon became adept with two-syllable words. By the end of the study, the participants could read complex words, knew basic grammar rules and understood tense and gender rules. Their literacy was tested at the beginning and end of the study, with a total of 21 participants completing the full study, which has just been published in Science Advances. The images taken at the start and end of the six months showed stark differences in what neurologists refer to as the subcortical structures of the brain. These structures are located between the retina, where light enters our eyes, and the visual cortex, where our brains begin consciously perceiving visual information. As a news reporter and freelance writer for decades, Ellen Rooney Martin has seen it all, and covered it too, from Chicago’s rough and tumble political scene, to a Midwest earthquake, as well as feature stories on business and trade, food and health. 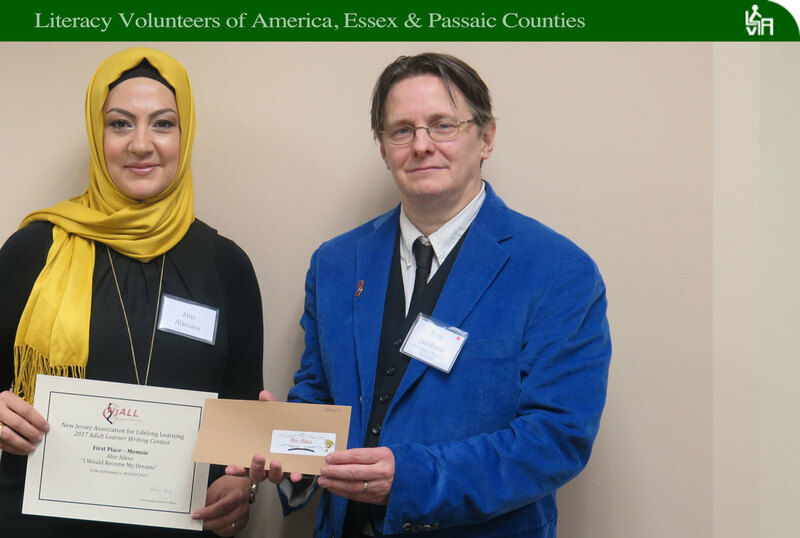 Yet she still finds excitement in meeting and helping adult learners from all over the world, among them her students from Nepal, Bangladesh, and other countries, she said. 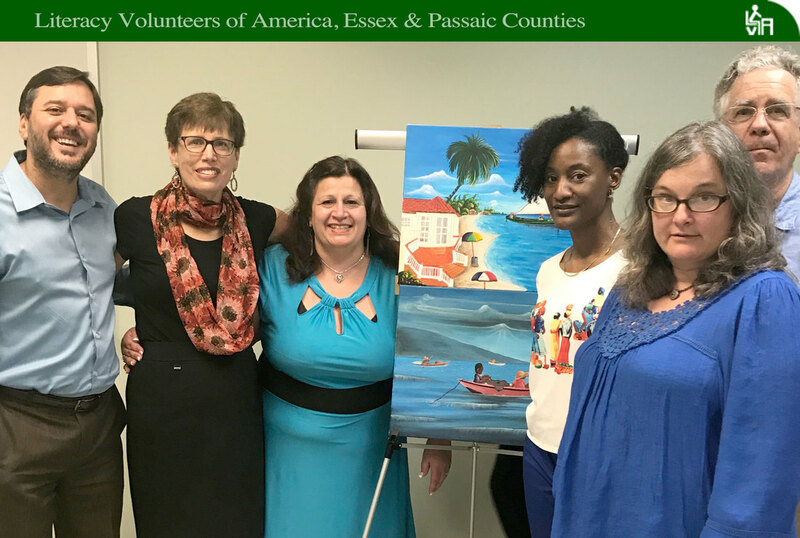 Ellen learned of Literacy Volunteers of America, Essex & Passaic Counties, a year and a half ago through a listing posted online by the Montclair Public Library. She signed up for a tutor-training workshop right away. Ellen’s first tutoring session was a bit unusual. Upon her student’s arrival, one by one, the student’s family members started trailing in. Ellen remembers, “I was a little overwhelmed because tutoring was all new to me.” She tactfully explained our ‘Only students allowed’ policy. Since then, she has worked with a variety of ESOL students, using her friendly smile and gentle spirit to put even the most timid learners at ease. “My personality type needs a lot of new things,” Ellen said. Along with tutoring, she has a keen interest in cooking for her family, writing, and exercising. Ellen has three young adult sons who appreciate her efforts in the kitchen. “I enjoy experimenting with new recipes,” she said. “My boys would like it to be steak every night, but that is not an option.” Ellen currently works as a freelance writer for Healthline.com, which combines her interests in food and exercise. Her work has also appeared in The Chicago Tribune, LA Times and Parenting Magazine. Her gift for poetry is well-known and her writing stirs up the deepest emotions in readers. 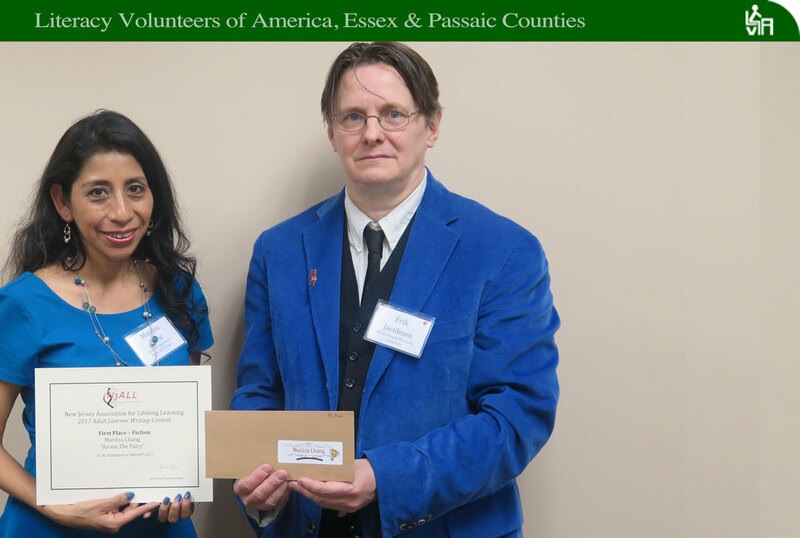 For the second-consecutive year, Fernanda took home a poetry award, this time a third-place prize for “I’m Waiting for You,” the story of an expectant mother and her dreams for her soon-to-arrive son. It was August 2001 and Jouseth, a young doctor assigned to a children’s hospital in Ecuador, took up her new post while a physician’s strike over low wages raged outside the building. Her gripping account of a night where she and a handful of staff handled a hospital full of emergencies and trauma landed her a third-place memoir-writing award. In the enchanted world of Airam the fairy, only a select few receive an invite to the North Kingdom. But when Airam accepts the invite and relocates, she discovers that not all is good in the North. She loses her fairy power and is muted by her inability to speak the language. 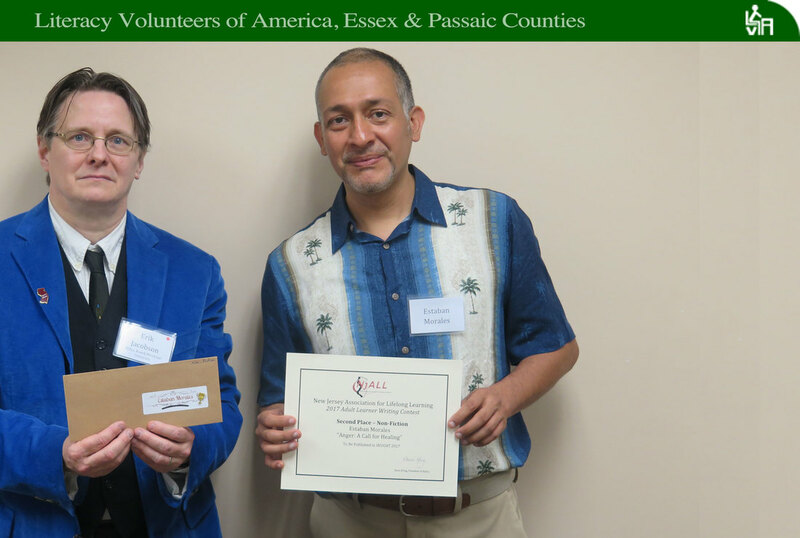 Maritza’s clever analogy of life for a new immigrant such as she, a former child psychologist from Peru who arrives in the U.S. unable to fully communicate and work in her field, won the first-place award for fiction.